An elegant clear glass design, created with high temperature resistant glass. 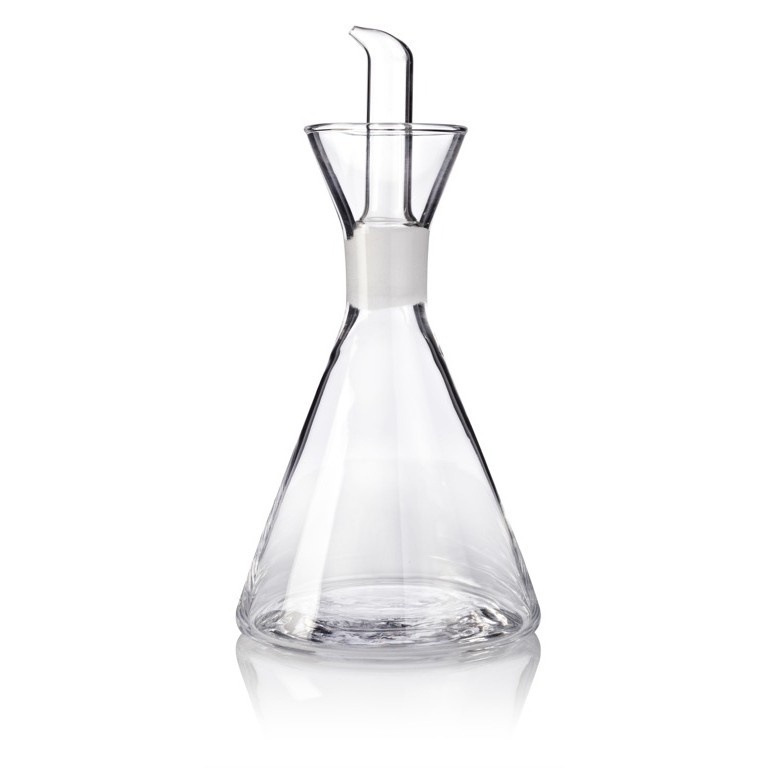 Its wide base makes it very sturdy and its narrow neck design makes it easy to hold while pouring. The spout has a narrow opening at the base so that any oil dripping down the top goes back into the main container. No more messy rings of oil on your table top! The smart design of the drip-less pour spout makes it easy for drizzling directly over your plate - salads, veggies, fish, pasta, pizza, etc. Available in three convenient sizes: 225ml, 350ml, and 500ml. The wide opening allows for easy filling. NOTES: The wide opening allows for easy filling.